On July 2nd, Manderley helped make history. 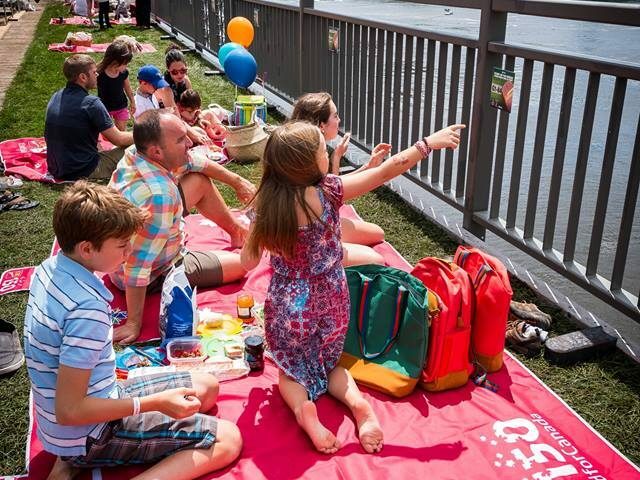 As part of Canada’s 150th birthday celebrations, Ottawa 2017 organized the first ever Interprovincial Picnic on the Alexandra Bridge, spanning the Ottawa River between our Nation’s Capital and Gatineau. Our sod was prominently featured as this iconic experience that brought friends and family from all over the country together. 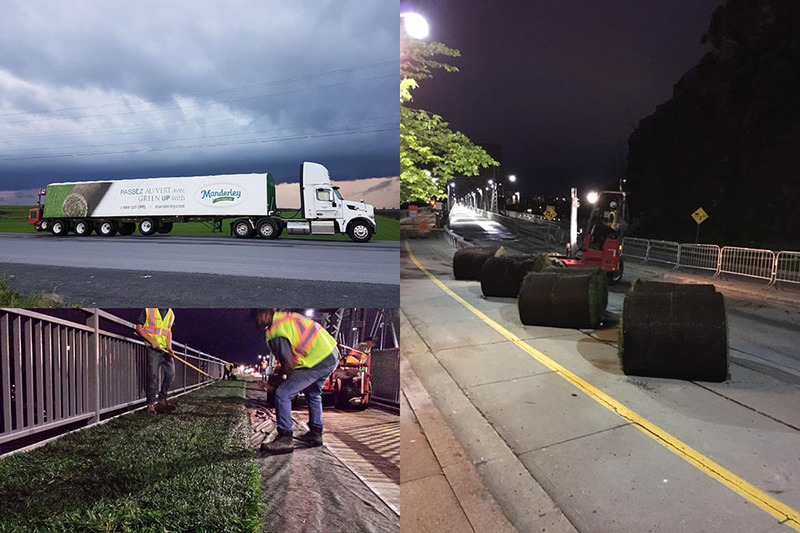 From our farm in Moose Creek, Ontario, Manderley supplied 12,000 square feet of freshly harvested Less Water Sod. 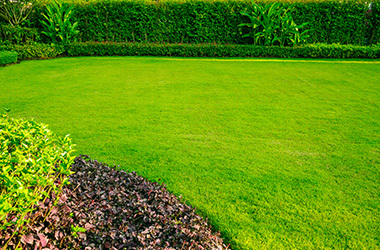 Installing that quantity of sod is no walk in the park, not to mention having to install it in the middle of the night! However, our harvest, delivery and installation crews worked wonders to make this all come together seamlessly. By daylight, the Manderley team were able to transform the Alexandra Bridge into a lush greenspace for some 2,500 picnic goers to enjoy. The day itself was filled with laughter, good company, spectacular views and for the most part, great weather – with only one sitting experiencing rain on an otherwise wet weekend. Mother nature was surely on our side. 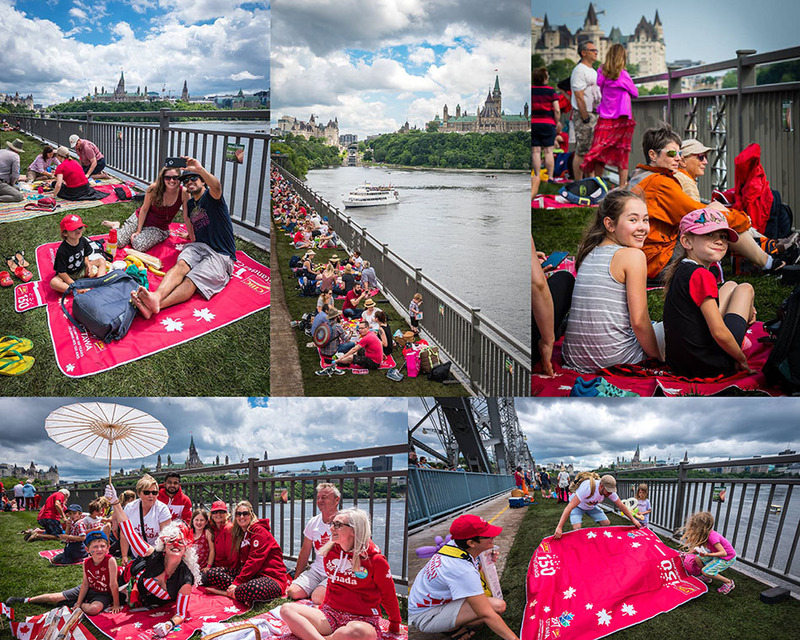 Picnic goers were treated to a park-like setting, curtesy of Manderley Less Water Sod, suspended over the Ottawa River with stunning views of Parliament Hill and downtown Ottawa and Gatineau. Following the picnic, our sod did not go to waste. It was rolled back up and distributed to community projects throughout the Ottawa area. The 12,000 square feet was divided up and delivered to 6 Ottawa Community Housing and Habitat for Humanity projects. The donation, which we hope will extend with it the spirit of community it was a par of on the bridge, helped to green up and provide a safe outdoor space for families in the Ottawa area. Watch here how it all came together!